Democrat Janet Cruz is basing her campaign to unseat Dana Young on blaming her and the GOP majority in the Legislature for failing to fund public schools adequately. Kids and teachers are sweating in their classrooms in Hillsborough County schools. Whose fault is that? 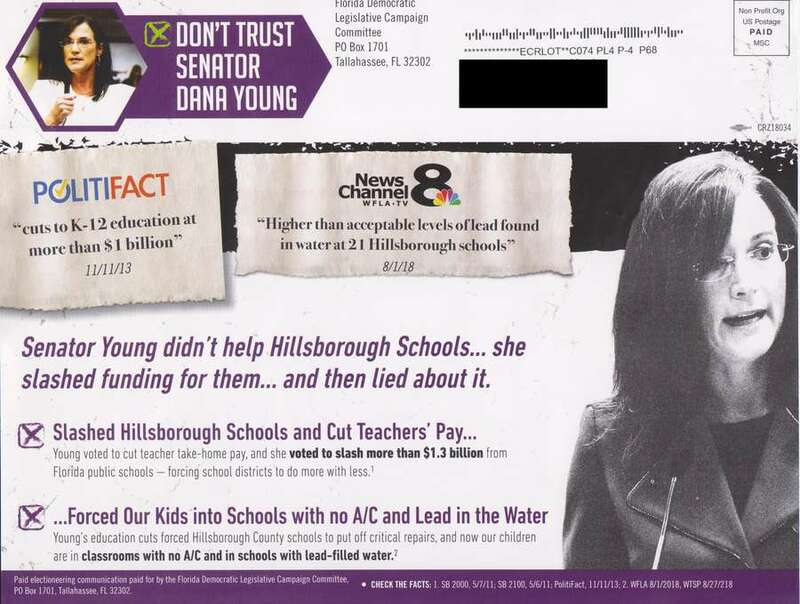 State Rep. Janet Cruz, a Tampa Democrat challenging Republican state Sen. Dana Young, is basing her campaign heavily on blaming Young and the GOP majority in the Legislature for failing to fund public schools adequately. "Young slashed Hillsborough schools funding … forced our kids into schools with no A/C and lead in the water … voted to slash more than $1.3 billion from our schools … forced Hillsborough County schools to put off critical repairs." Meanwhile, Hillsborough school officials, campaigning for a half-penny sales tax to fix aging buildings, say they can't afford to replace or maintain air conditioning systems because of inadequate state funding. They say Florida ranks 44th among the states in education funding, down from 27th two decades ago. And they blame a lack of school maintenance funding on the Legislature's votes to cut school property tax rates. Can Democrats take back the Florida Legislature? It's possible, but not likely. Young tells a very different story. She acknowledges that the Legislature was forced to enact a big cut to public school budgets in 2011, usually described as $1.3 billion, when the federal stimulus money that had kept the state afloat after the 2007-08 recession ran out. Young was then a House freshman. But, she said in an interview, those cuts were restored and more in subsequent budgets. As to lead in the water, "That's just an irresponsible claim," she added. "The lead was in the water because of old schools, and we're finding it all over the country. And the Hillsborough County school district didn't test (for lead) until this year." 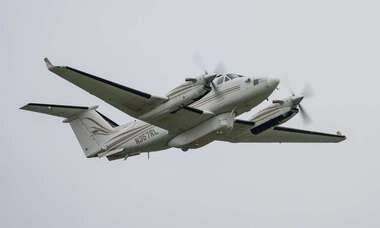 Financial mismanagement by local officials is part of the problem, her campaign has said. A recent Tampa Bay Times analysis documented a decade of lower-than-usual spending on maintenance by the district, and at least one key school official acknowledged that was part of the problem. "It's not 100 percent" the state's fault, said deputy superintendent Chris Farkas, district facilities chief. "We made decisions" — chiefly making it the top priority to avoid teacher layoffs in the recession. The Young campaign said that proves Cruz is wrong and made her attacks "knowing it was a lie." "Janet Cruz's attacks on Dana Young are completely false, and we call on her to … apologize to the students and parents," said campaign spokeswoman Sarah Bascom, citing the Times story. But Farkas never said state funding was not also to blame. Cruz's mailers focus on the $1.3 billion cut, but she also talks about other "bad decisions" by the Legislature on education funding issues. "Dana Young voted to give our tax dollars to for-profit charters to invest in their capital projects while giving zero dollars to our public schools," she said in a written statement. "This is … a big reason why today kids are sitting in hot classrooms." No answer to any question about school funding in Florida is simple. The money comes from a welter of state and local taxes. Further, just knowing the amounts from year to year doesn't take into account the ever-increasing number of students, nor inflation that jacks up the cost of employee health care, running a school bus system, construction costs and milk on kids' lunch trays. Young is correct that the 2011 $1.3 billion cut — in a budget Cruz and other Democrats voted against — has been restored. PolitiFact has found that in raw dollars, per-pupil spending, the key measure of K-12 funding for operating costs, is $7,407 today compared to the pre-recession peak of $7,126. But simply restoring the cuts didn't keep up with inflation. Today it would take more than $8,500 to match the inflation-adjusted 2007-08 level. Further, the costs of new security programs mandated by the Legislature after the Parkland high school shootings ate up much of this year's increase of about $101 per student. Capital outlay money for buildings, maintenance and equipment has also taken hits. In 2009 and 2010, before Young was in the Legislature, lawmakers lowered the amount districts could collect for such costs. Then later, lawmakers required districts to share that smaller pie with charter schools. School districts say that makes little sense because they must build traditional schools where they're needed, while charter schools can go wherever they choose regardless of the need. Hillsborough school superintendent Jeff Eakins estimates the change has cost the district $400 million over 10 years. Local impact fees and the Public Education Capital Outlay Fund are the other main sources. The Public Education Capital Outlay Fund comes in part from land-line phone taxes, which are declining, while the Legislature has been diverting part of what's left to charter schools — half or more in some recent years. Cruz contends that's unwise because charter schools often rent their buildings, leaving the public nothing when they close, as they often do. But Young, like most Republican legislators, is a fan of the charter and voucher movement, which she says is important to poor and minority families. "I embrace the beautiful choices we have," she told the Tampa Tiger Bay Club recently.